What was the magic secret to my weight loss? How many times have I been asked that…? If I got a Euro for every time, I’d have the new car, the extension and the multiple holidays! Yes, that’s right…there isn’t a magic secret…but you really knew that already, didn’t you? You’ve all read my story before (if you haven’t, why haven’t you… ha ha) so I’m not going to go in to it all again. I thought this time I would talk about what kind of eaters there are. Over the past few years and been so interested in weight-loss I have done a lot of soul searching and a lot of science searching. One interview I came across was from a Dr. Daniel Amen, MD, neuropsychiatrist. He explains that it’s the brain that makes our eating decisions, (….if it wasn’t the brain who did he think made the decisions?) anyway according to him there is not just one, but at least five brain patterns associated with overeating. Research done by Dr. Amen on the relationship between brainpower and obesity showed that as obesity increases, brainpower decreases. He found that people with BMIs of 25-30 (overweight) had 4% less brain volume than people with lower BMIs and their brains looked 8 years older than those in healthier subjects. Those with BMIs over 30 (obese) showed 8% less volume and their brains looked 16 years than those of healthier subjects. Fat can produce inflammatory chemicals that damage your brain. 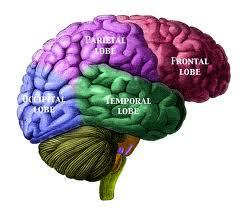 His research showed that the brain’s frontal lobes were smaller in obese people than in healthier people. Since frontal lobes are critical to making decisions such as food choices, and with the constant advertising bombardment of cheap, unhealthy food, he claims that it is more difficult to say no to unhealthy food if the frontal-lobe activity is low. 1. COMPULSIVE OVEREATER. Compulsive brain types are the people that get stuck on a thought and cannot seem to focus on anything else. For instance, if there is ice cream in the freezer, they hear a voice repeating to them over and over “I want ice cream. I want ice cream. I want ice cream.” They are highly stimulated, and often feel anxious. They believe food will calm them down, and they yearn for it like a drug. Typically, compulsive overeaters have low serotonin levels in natural ways. Exercise is a great natural way to increase serotonin. 2. IMPULSIVE OVEREATER. Impulsive and compulsive sound alike, but unlike the compulsive overeater that fixates on the thought of food, the impulsive overeater is stimulated by what is in sight at the time. These are often the people that cannot walk down the aisle at Dunnes without touching all of the clothes on the rack as he/she passes by. These are the people that start telling a story, but then get distracted by something else and lose their train of thought. These are the people who sit at a table and eat the content in the sweet jar, just because it happens to be sitting there. These are the people that commonly are diagnosed with attention deficit disorder. 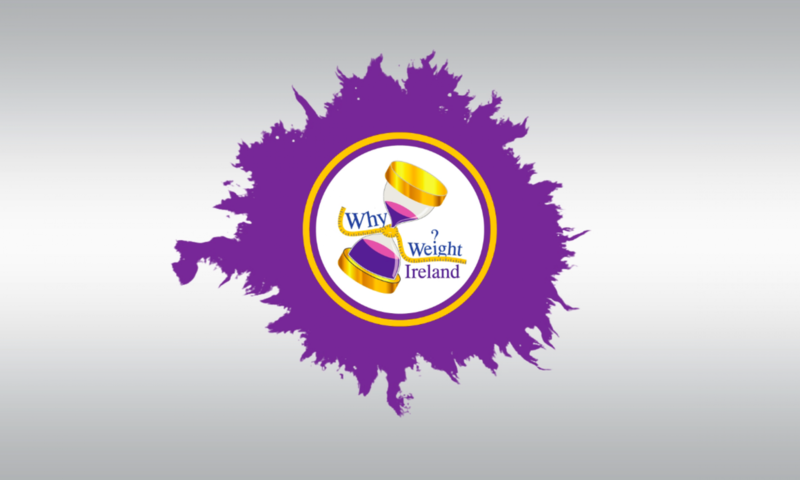 In fact, research suggests that having untreated ADD nearly doubles the risk of being overweight. ADD is associated with low dopamine levels in the brain. The brain needs dopamine and will get it in one way or another. Impulsive overeaters need to both boost dopamine levels and strengthen the prefrontal cortex of the brain. Higher protein, lower carb (especially low simple carb) diets, exercise, and supplements such as green tea may be helpful in treating impulsive overeaters. 4. EMOTIONAL OVEREATER. Emotional overeaters tend to eat to pacify intense emotions. The emotions they are trying to assuage may be sadness, guilt, depression, and/or a combination of several unfavorable emotions. Food is both their comforter and their curse. They eat to feel better, but often experience feelings of exaggerated sadness, guilt, and depression immediately following a binge or overeating episode. It’s a very sad situation, indeed! Emotional overeaters benefit from exercise, from getting adequate daily intakes of vitamin D, as well as from supplemental fish oil. 5. ANXIOUS OVEREATER. These people are chronic worriers. They tend to experience a lot of nervousness and physical tension, which can often manifest itself in the form of frequent headaches, stomach-aches, or conditions such as irritable bowel syndrome. They often overeat because of their anxiety. They are often convinced that something bad is going to happen. Effective treatments for anxious overeaters have been meditation and hypnosis, in addition to supplemental B6 and magnesium. I found this all fascinating – When you lose weight people always say, “Wow you look so much younger”, or “since you’ve lost all your weight you are like a new person”. So after reading the research it sort of made sense! Don’t you think? There has been other research done regarding this and there probably will be for years to come. I remember reading about Britain’s heaviest man and research been done on his brain and the researchers claimed his brain may have been programmed from birth to want too much food, causing him to overeat all his life. In other words, some of us have FAT BRAINS that make us crave high-calorie foods. I wonder if I can go somewhere and ask them to check if I have a fat or a slim brain? It would have saved me years of trying to lose weight! There is a lot of research been done and that is fantastic but for now it’s just that…research. Until some bright spark can come up with one little tablet that we take once and then deflates us within a matter of seconds we just have to continue doing what has proven to work. Burn more calories than you eat and you will lose weight. Our bodies weren’t designed for sitting around doing nothing. Once you sit down your body slows its calories burning process by almost a third compared to someone standing up and walking around.